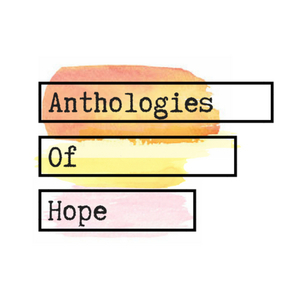 What is Anthologies of Hope? We'll bring you conversations from the community of folks who have met and connected through attending Heart Camp with Jamie Tworkowski throughout 2018. If you're not familiar with Heart Camp, it is a two-day workshop focusing on authenticity, bringing your heart to your work, and mental health. For more on Heart Camp, you can check out heartcampwithjamie.com for details, as well as check out the hashtag #heartcamp18 across all social media platforms. It's no surprise that that the people that are inspired by Jamie's sense of purpose, community, and hope also share a common bond to want to share their own personal stories to help others just as much. Through these stories, we hope you’ll find some inspiration for your journey, hear from you down the road, as well as bring in new members of the Heart Camp family. In her Netflix special "Nanette", Hannah Gadsby says "you learn from the part of the story you focus on". Through all of the stories we'll share on Anthologies of Hope, we hope you'll learn something about our guests, but also about yourself - your strength, your potential, and the ability to tell your own story.